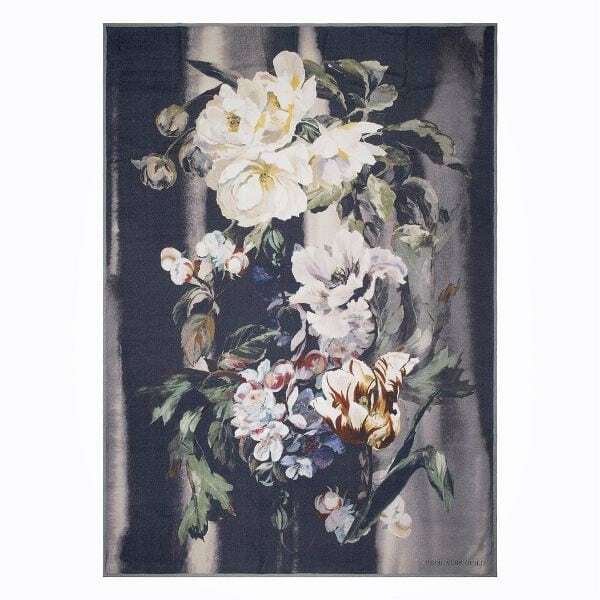 The Delft Noir by Designers Guild is a dramatic and mesmerizing throw featuring painterly peonies and tulips in rich autumnal shades. Digitally printed onto luxurious merino lambswool with a rich charcoal and grey backdrop to create a glamorous statement in your home. Finished with a hemmed edge. A popular piece at Bedside Manor!